For some people hiring a professional to create a business website is out of the question. This is when they tend to turn to a free template which allows them to create their own websites. It’s more often than not that we stumble across websites which have been created from a free website builder. 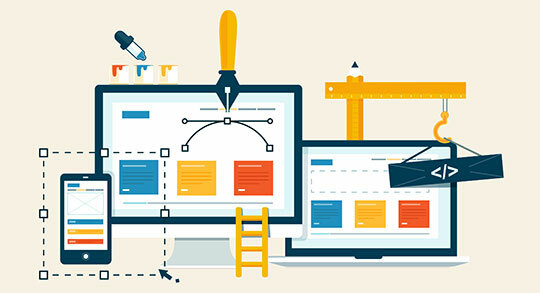 Unfortunately for those who use free website templates and build their own website aren’t fully aware of the implications that can cause issues with their website. The idea for a business website is to have an online presence, inform your customers of what you do and where to follow you for updates (social media). Those social icons on your web page are then clickable and send your customers straight to your social media account. Most of the time these links are misleading and therefore taking you to the wrong page, defeating the purpose of the icons. Studies show that customers make a judgement about your business within 7 seconds after landing on your page. So when your links do not work, your customers get frustrated and most of the time this will deter them from interacting with your brand again. To stop this make sure you test your links. After you test, double-check and ensure the links are working properly. People are also under the impression that free website templates are well, free. Unfortunately, this is not the case; they are cheaper, not free. Most sites say for free but after a while, they start to charge you a monthly fee which does increase. Another major let down for website builders is that they have no coding, therefore eliminating SEO ranking for your website. Obviously obstructing the effect of your website and therefore the effect it has on your potential customers.